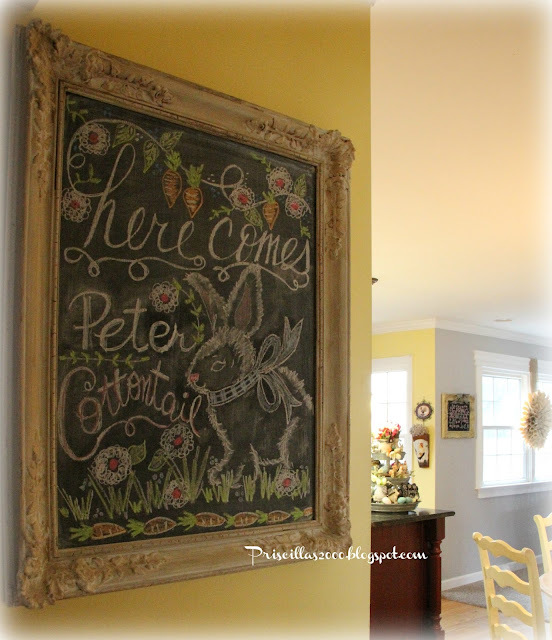 So..it was time to change the seasonal chalkboard out for Spring..
Bee Mine got erased this morning ..
and here is Peter Cottontail! He has a carrot border and hanging carrots..and a blue check bow.. I think he turned out really cute .. and springy! 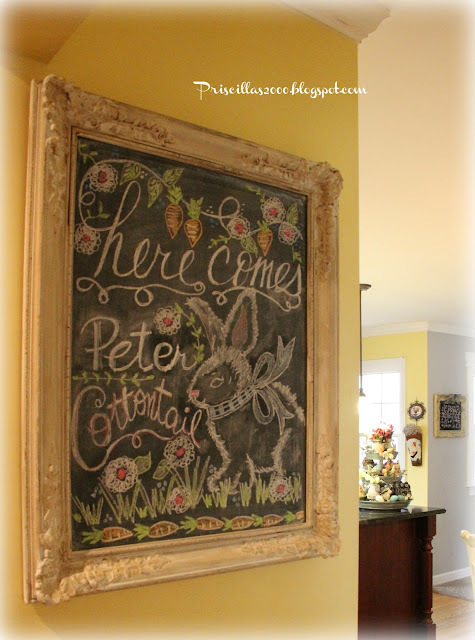 We are expecting snow today..but it is Spring in the house! 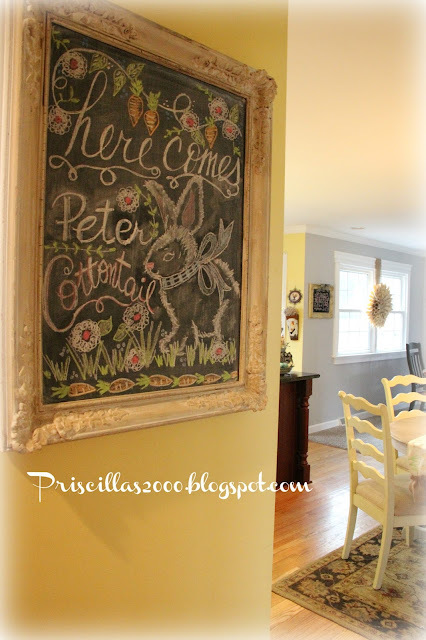 This is one of my favorite seasonal decorations and I love to change it out for the seasons! 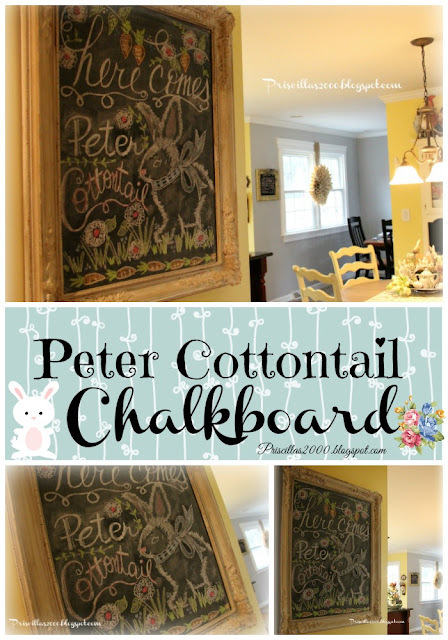 Peter Cottontail is adorable. I really line your chalkboards! Like!!! 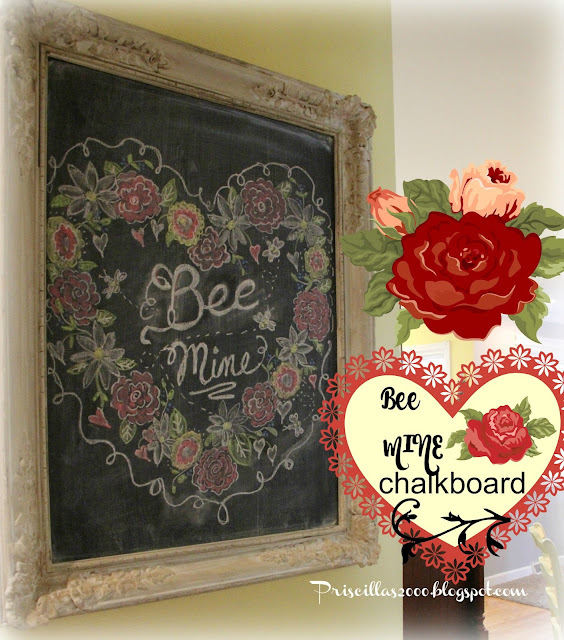 I really LIKE your chalkboards! 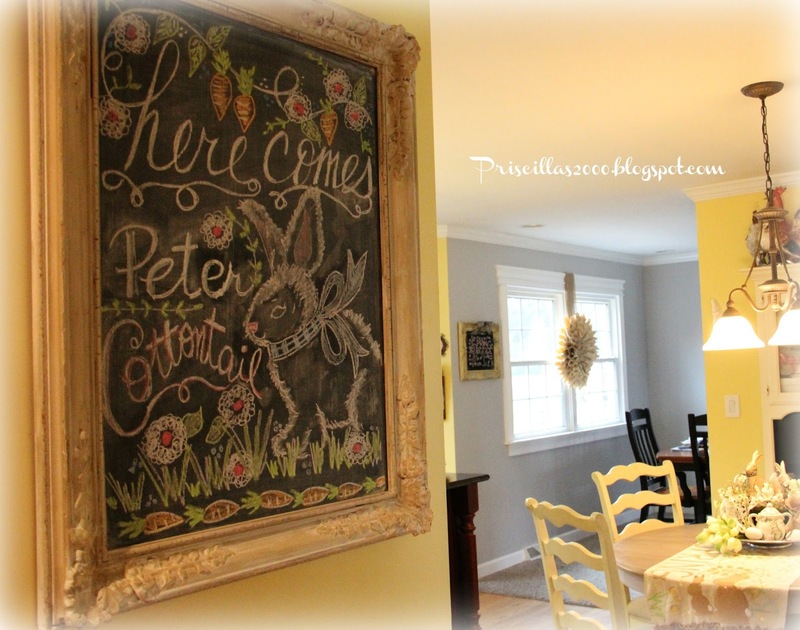 I love your seasonal chalkboard! 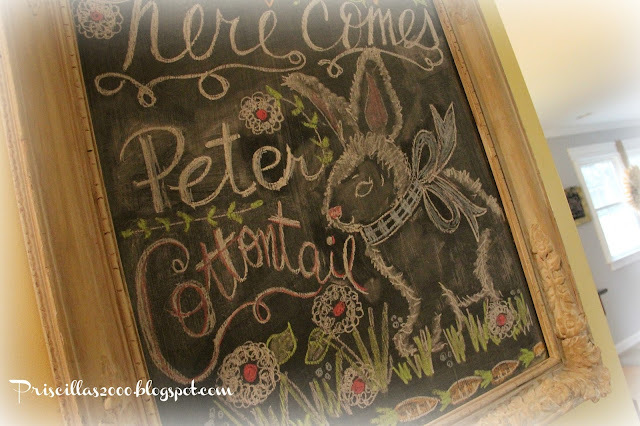 Oh Peter, you are a cute Bun Bun!! !